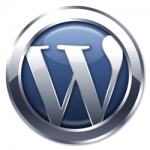 WordPress is an open source content management system (CMS) that is favoured by millions. Originally developed as blogging software, it is now the most commonly used web application for self-built websites across the internet. Our servers work seamlessly with wordpress and we are premium favourite choice amoung designers/developers for UK WordPress hosting. WordPress installation requires no technical knowledge at all; and is exceptionally easy, with just the click of a button your site can be up and running in minutes. Migrate your WordPress website to WESH UK. WordPress Hosting elsewhere? We can move your site to WESH UK FAST! The WordPress code was produced collaboartively as an Open Source project, and currently has many hundreds of coders and developers around the world working to make it even better. WordPress was designed to be very flexible and has a vast number of customisable features and attributes – including: custom designed themes available for download, a huge array of plugins to faciliate everything from search engine optimisation to adding Facebook or Twitter feeds to your WordPress blog. Highly optimised and especially configured UK servers to provide the quickest possible performance for your WordPress hosting. Our highly especially configured UK servers provide the most secure environment for your WordPress hosting. WordPress support you can count on. At WESH UK You can get WordPress support via telephone, ticket system, and remote desktop or for total peace of mind, order our optional WordPress Management service. Running your WordPress website properly and implementing best practice is something you can rely on us to help you with. Our Web Hosting plans come with Softaculous, which you can use to install WordPress in a few clicks. No setup knowledge required. 30 Day money back gaurantee. If you are not happy with your WordPress web hosting or our WordPress services, and have given us a chance to resolve any issues, we will give you your money back. Step one of migrating your WordPress hosting to WESH UK is to get a web hosting plan setup to migrate your wordpress website to. Typically, around 80% of wordpress websites are using 1 slice, some using 2 slices. If you are not sure how much you need, start with 1 slice, then ask us to take a look at your existing WordPress hosting and we can let you know immediately how many slices you need.